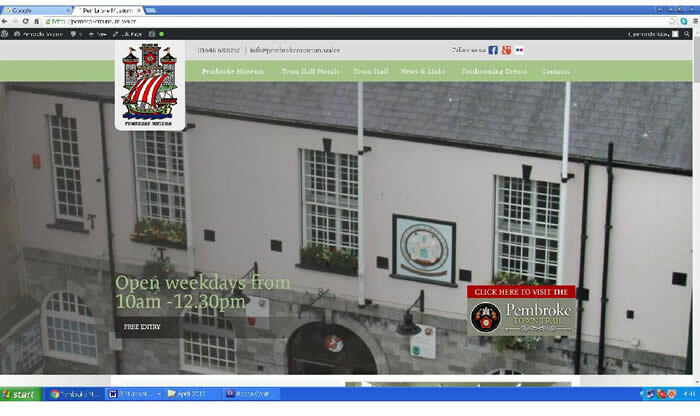 PEMBROKE MUSEUM NOW HAS ITS OWN WEBSITE! Thank you Modern Print, Pembroke Dock for our new website! The Museum is now open daily Monday - Friday 10.00am. to 12.30pm. 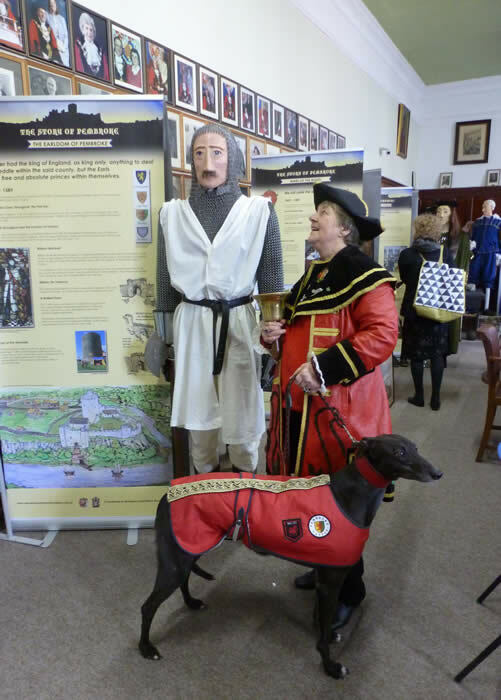 The opening of Pembroke Museum in the Court Room of Pembroke Town Hall has been a big success story. 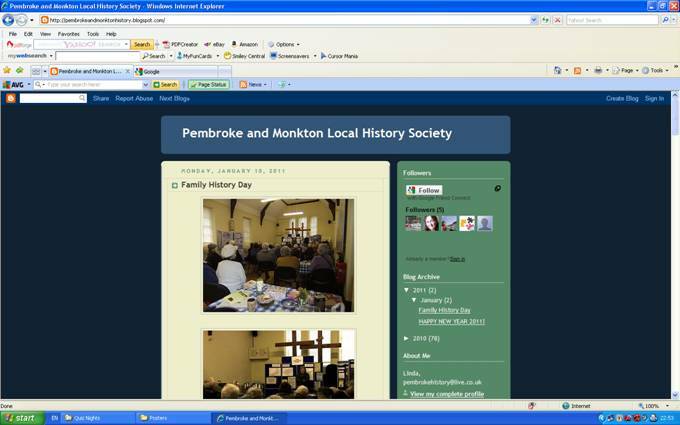 It has proved a popular community venture and has come about by the successful partnership between Pembroke Town Council and local heritage groups including the Pembroke and Monkton Local History Society, the West Wales Maritime Heritage Society and Pembroke Civic Trust. It has all been done completely voluntarily - a museum for the community run by members of the community. 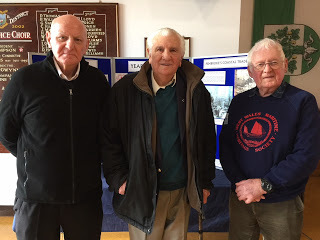 Pembroke & Monkton Local History Society’s 'Year of the Sea' event in Pembroke Town Hall proved very popular – around 90 people attended which demonstrates a very great interest in our maritime history! 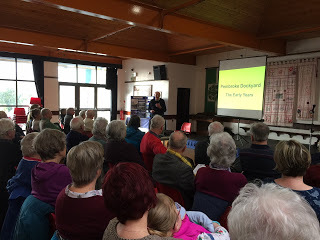 This was a joint event with West Wales Maritime Heritage Society, a Society we are pleased to work with and one which has made a great contribution to Pembroke Museum. There were two speakers. First Ted Goddard gave a fascinating account of the Early Days of the Dockyard and some of the ships which were built there. 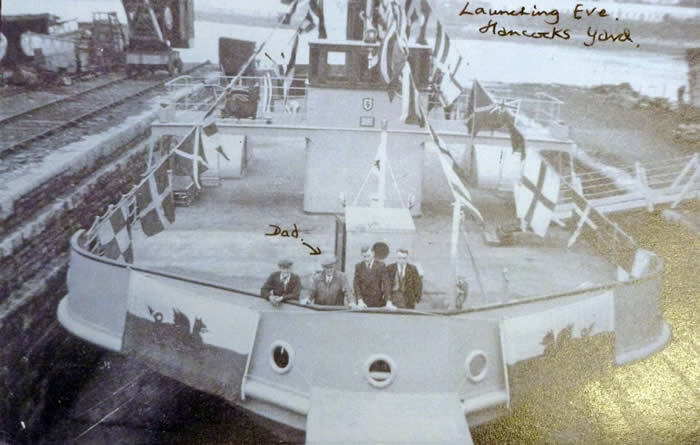 It is amazing to learn what was achieved by this town of Pembroke Dock – it is hard to believe now that it was a world leader in shipbuilding in the 19th century. It built Royal Yachts and many famous ships. One of these, Ted told us, was HMS Erebus, one of Sir John Franklin's ships on his fateful last expedition. 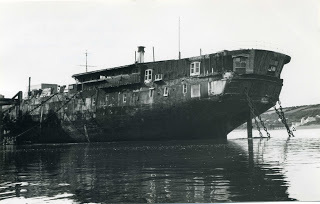 A ship that is very dear to local people is the Warrior and David James of West Wales Maritime Heritage Society shared his memories of the ship when she was a moored off Llanion where she was used as an oil fuel hulk. He remembered fishing off there as a boy while others in the audience joined in with their memories. One of these was Frank Harries who worked there and had amusing anecdotes to share. In 1976 Warrior was towed away for renovation at Hartlepool. 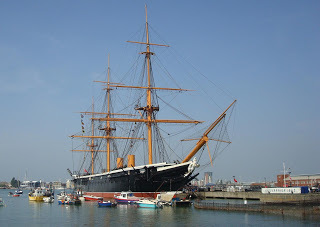 Now restored to all her former glory, she can be seen in the Royal Dockyard, Portsmouth. West Wales Maritime Heritage Society's Maritime Museum is situated in Hancock’s Shipyard, Pembroke Dock, where the Society is based and where they restore vintage boats. 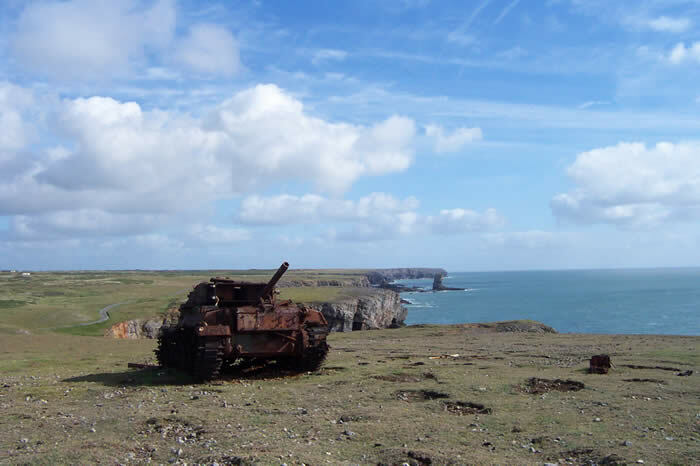 Often called the Cinderella Yard, overshadowed as it was by the Royal Dockyard, it survived a lot longer and continued shipbuilding until 1979. 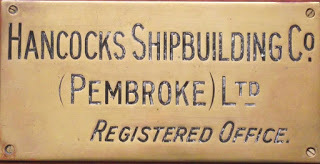 Peter Hancock & Sons took over the yard in 1921 from former owners J & W Francis and among the many ships built there were the Hobb’s Point ferries – the Cleddau Queen in 1956 and the Cleddau King in 1962. 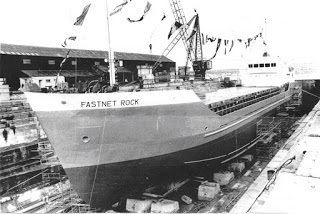 The last ship to be built there was the Fastnet Rock in 1979. The yard is still popularly known as Hancock’s Yard. Many local people served apprenticeships there, some of whom were among the audience, and enthusiastically joined in with their own memories. Anyone interested in volunteering, please contact Brian King on 01646 680554. David James has also contributed a stunning model of a Tudor ship to Pembroke Museum. The ship is Henry VII’s battleship the Mary Fortune and it was ‘christened’ to great applause by the large gathering of well wishers who had assembled for the ‘launch’ event hosted by the Pembroke & Monkton Local History Society in Pembroke Town Hall. David is a very talented and prolific model shipwright, building scale model ships – the Mary Fortune is the latest of a string of constructions, many of which can be found in museums in Pembrokeshire. Four of his models have even been displayed in the National Maritime Museum in Greenwich. “It was following a talk in Tredegar House in Newport, Gwent that the idea of making it originated” David said. 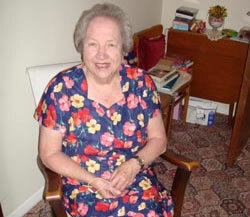 “I was approached to make a model of the Newport ship – the ship that had been discovered in the docks in 2002. " But what better place to house this latest model than in Pembroke’s own museum where the Henry VII story is so important and our Tudor links celebrated? In fact when I initially heard David was contemplating making it, I begged him to consider placing it here. In Pembroke museum we are fortunate to have David's model of the Kathleen & May, a model of utmost importance to us as she was the last of the coastal traders to sail up the Pembroke River to trade at Pembroke's North Quay in 1960. As such she represents the end of a chapter in the town’s history and still lives on in the memories of Pembroke people, including David who can remember the Kathleen & May coming in to unload cargoes of corn and potatoes etc at the North Quay. The Kathleen & May model was commissioned by Pembroke Town Council in the late 1990s and was for many years on show in the foyer of the Town Hall: it now forms a focal point in the Court Room museum, central to our maritime display, to which the WWMHS is the major contributor. 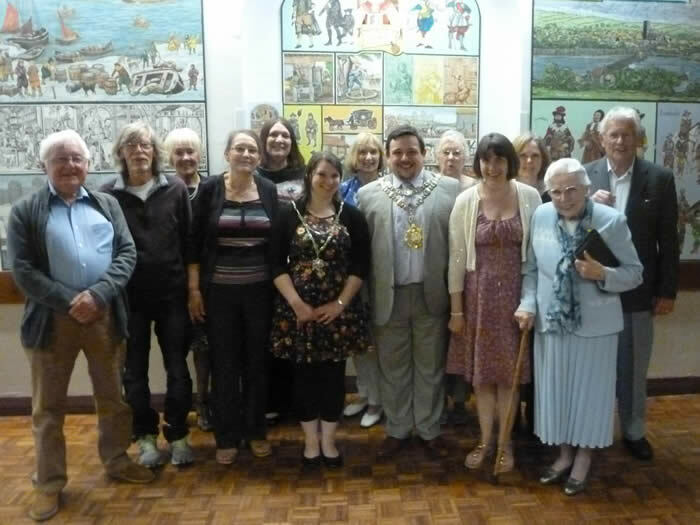 On Friday May 30th, Pembroke Town Council played host to Volunteers Night in the Town Hall. 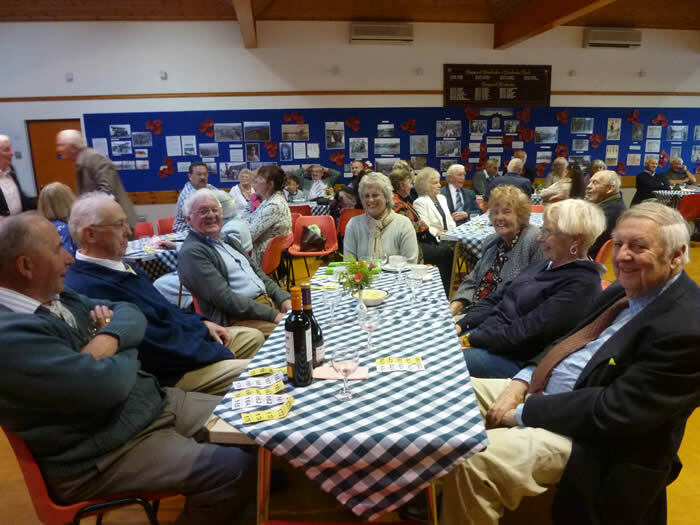 People who have helped run and support Pembroke Museum were invited to a social evening as a ‘thank you’ for their contribution. 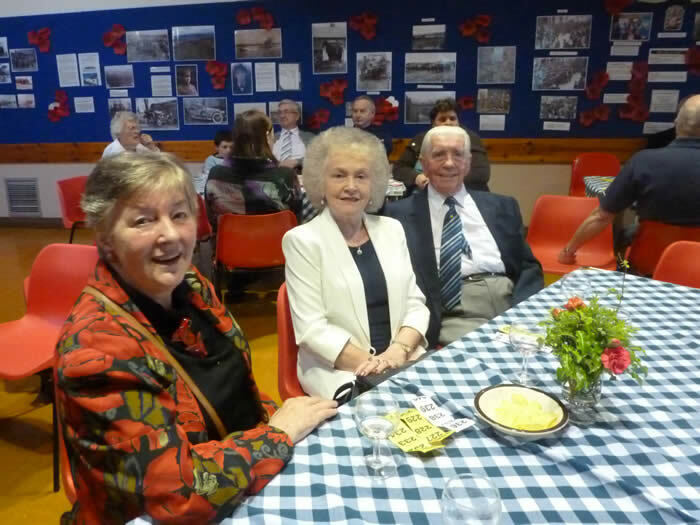 It was a birthday celebration too as Pembroke Museum celebrated the first anniversary of its opening on June 1st 2013. 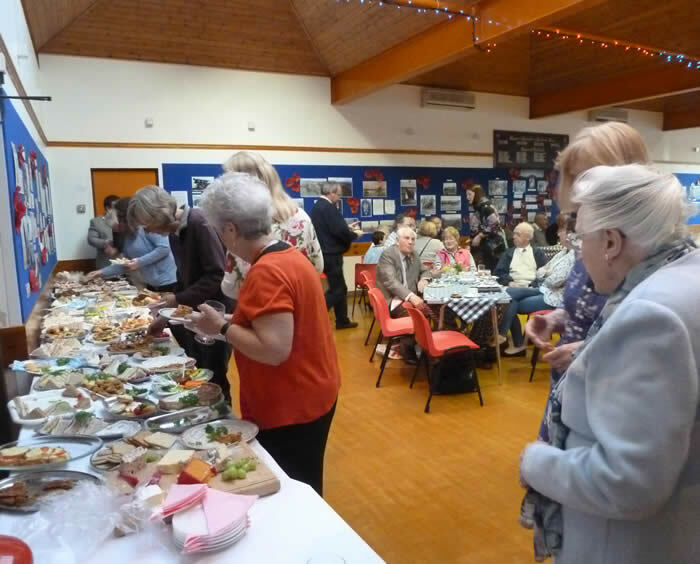 Altogether 65 people accepted the invitation to attend the function which was opened by Pembroke’s new Mayor, Clr Aaron Carey. Clr Carey conveyed the Town Council’s thanks to all who had helped make the Museum a success and for voluntarily giving up so much of their time to promoting Pembroke’s heritage. 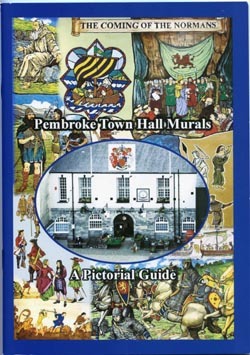 He then proposed a toast to the museum and was thanked by our President George Lewis, who with wife Jeanne, painted the Pembroke Murals which adorn the walls of the foyer, staircase and landing of Pembroke Town Hall. 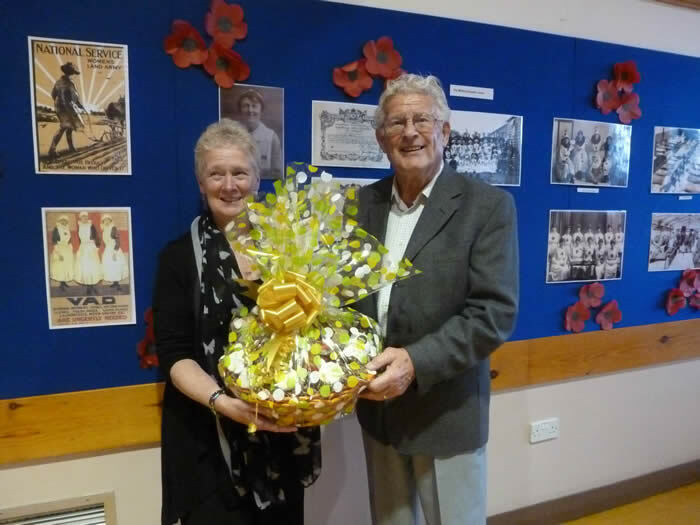 No one has done more to promote our heritage than George and Jeanne, and for this reason George was elected President of the Pembroke and Monkton Local History Society, a position he fills with great enthusiasm.